This is certainly surprising and conflicts with Lensrentals results. 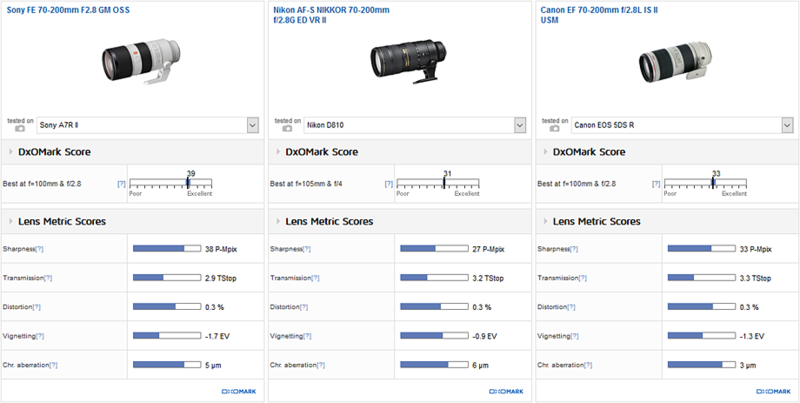 Did Lensrentals get several flawed lenses or did DXO get one really good lens? Hopefully Lensrentals will follow up with the results. I am sure many would like to know where the discrepancy is coming from. You can read DXO’s full report here. We will continue to watch and report as things unfold. I just might have to try one of these lenses out. This entry was posted in Sony lenses and tagged Sony FE 70-200mm f/2.8. Bookmark the permalink. Trackbacks are closed, but you can post a comment.